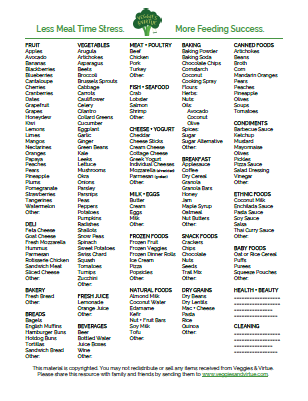 Simplify all of your meal planning and grocery shopping needs! These tear-off pads include all of your go to groceries printed on one side with a meal planning template on the back. Mount this notepad to your fridge for easy access that you can easily keep adding to throughout the week. Use a highlighter to color code what groceries you need at each store, or write in the random items you need on occasion. Then when it comes time to shop, you'll have all the info organized so you can not only remember what you need to buy but also cruise through the store quickly and confidently (as list is categorized by aisle)!